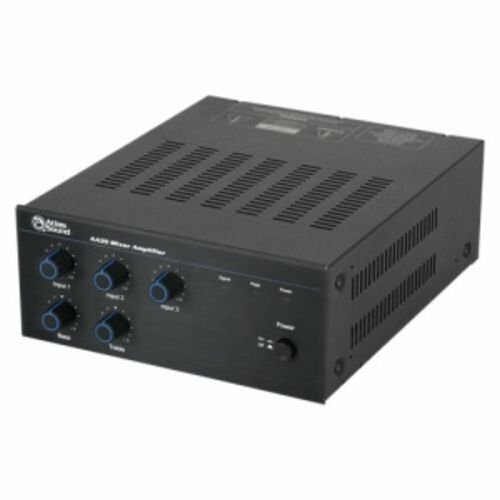 The Atlas Sound AA35 is a 3 input mixer/amplifier designed for distributed business paging and background music (BGM) systems, small to medium speech privacy systems, and applications where music on-hold (MOH) plus paging is required. If you have any questions about this product by Atlas Sound, contact us by completing and submitting the form below. If you are looking for a specif part number, please include it with your message.